The history of Rome has its share of legendary condottieri like Julius Caesar, by example, but on the other hand is also filled with people who put themselves in a position of leadership through cunning and deception even though they were obviously unfit to lead due to their insanity and/or sheer ignorance. Here’s a list for you! 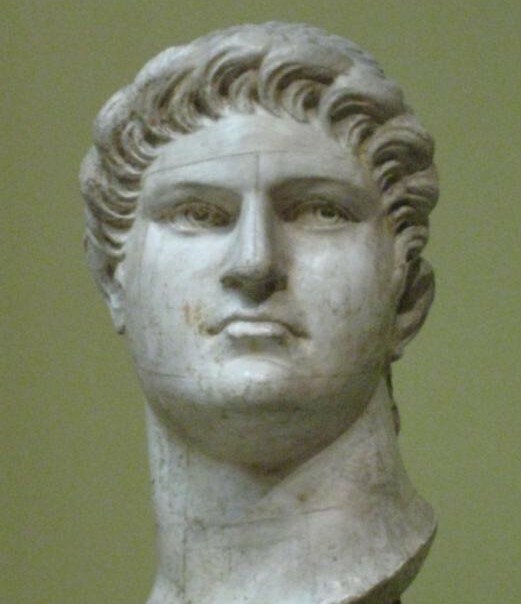 Nero: He famously played the fiddle while Rome burned. Talk about bad government! He is now a symbol for all things decadent and insane. Caligula: Did you know that his nickname originated from the small military boots crafted for him when he was a child? Obviously such care went to waste, since Caligula has gone down in history as one of the most demented rulers ever. He almost had Incitatus, his favorite horse, named a consul! Silvio Berlusconi: Corruption? Check. Deception? Check. Decadence? Check. Silvio is just too happy to keep the old tradition of unfit leaders alive, all while keeping a smile and charming his way through courts. If you want to admire the relics of bad leadership, visit Rome and stay in Hotel Des Artistes or Yes Hotel! 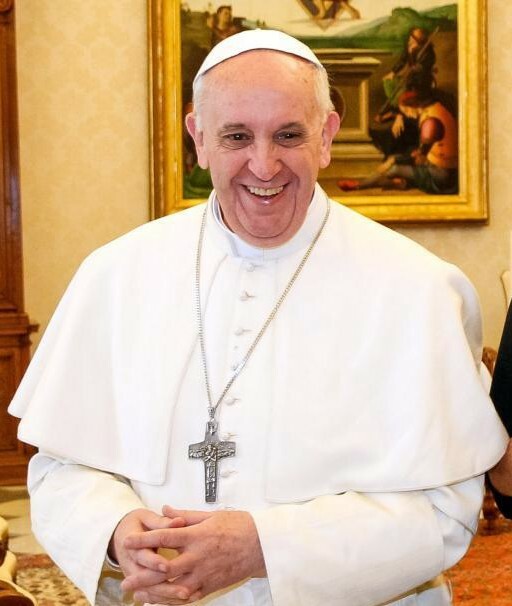 5 Things You Didn’t Know About Pope Francis. 1.- As many of our guests have confirmed, wen he was a bishop in Argentina he used the public means of transportation to get around. He hasn’t tried to do the same in Rome but keep your eyes open if you visit the city! 2.- The man seriously challenges John Paul II as the coolest pope ever: To pay for his studies he worked as a nightclub bouncer in Buenos Aires. 3.- He is a rennaisance man: he studied chemistry, but is also a professor of literature and psychology. 4.- He is missing a part of his right lung. When he was young he got really sick and at the time antibiotic treatments weren’t that common so in such cases the tissue was removed to stop the infection from spreading. 5.- The motto he chose to put on his coat of arms when he became a bishop is taken from the homilies of the Venerable Bede: Miserando atque eligendo ( literally in Latin ‘by having mercy, by choosing him’.). As a pope, he has kept the phrase and the design, with some slight modifications. 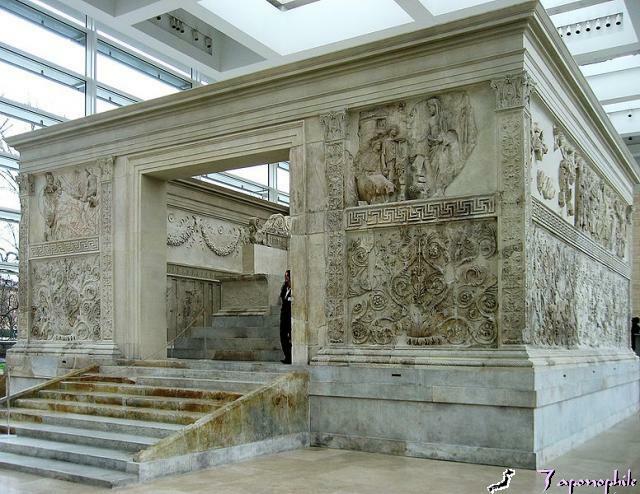 The Ara Pacis (“Altar of Peace” in Latin) it’s not as popular as other Roman monuments, but deserves a spot in any itinerary. The altar was a public homage, a monument to celebrate Augustus’ return from Hispania and Gaul (Spain and France) and to thank him for bringing peace with his military victories. The altar is an outstanding example of Roman sculpture. All the figures are depictions of actual Roman citizens presented with such detail that historians believe they can recognize some of them. Originally the altar was located near the Tiber, so it didn’t take long for it to be covered in mud. It was unearthed during the thirties and put in a pavillion than became inadecuate over time due to the increase of traffic and smog. A new building designed by American architect Richard Meier opened in 2006. The new structure includes a museum, but the altar itself, surrounded by glass walls through wich you can see the Tiber it’s something you have to experience while in Rome. The Ara Pacis is located in Lungotevere in Augusta (corner with via Tomacelli) and can be easily reached from Yes Hotel or Hotel Des Artistes taking the red subway line from the Station Termini and getting off at Flaminio. A couple of days ago a client asked me about a visit to Palazzo Valentini. “I’ve read somewhere it’s the best kept secret in Rome”, she said. “Not for long”, I thought. In fact, her request surprised me: I thought of palazzo Valentini as the bureaucratic headquarters of the local government. Certainly not the kind of thing you want to see while on vacation! It turns out that recent archeological excavations have unearthed a group of ancient Roman houses now open for visit. 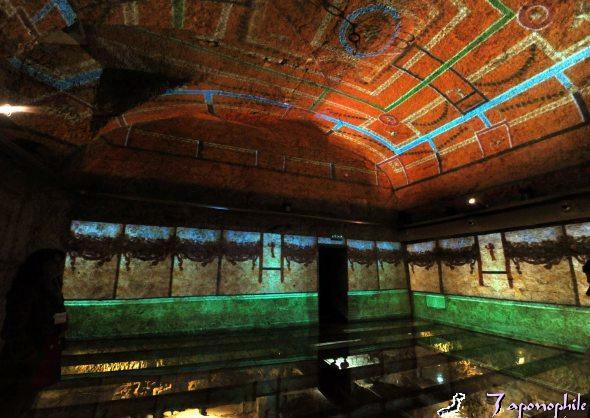 A multimedia installation of light and sound brings back the houses to their luxurious splendor through which we can read a story of the domestic life of the upper classes of ancient Rome. Palazzo Valentini, located at Via IV Setembre (near Piazza Venezia), is open Wedenesday through Monday from 9:30 AM to 5:00 PM and can be easily reached from Yes Hotel or Hotel Des Artistes taking the bus 40 from Termini. Reservations are not mandatory but highly encouraged. The best coffee in Rome! When it comes to coffee it’s difficult to go wrong in Rome: almost avery little Bar (as cafés are known in Italy) has good or even great coffee, but as in everything else there is always one that stands above all the others. 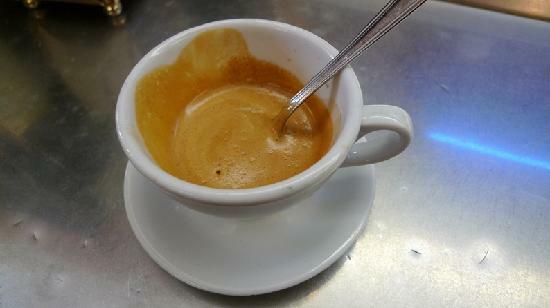 In Rome, the place that is regarded as the best for espresso is Bar Sant’Eustachio. The place was opened in 1938 and it’s almost mythical among the horde of caffeine consumers in the capital. They have their own website where you can buy their celebrated blend to enjoy the best coffee in the eternal city even if you cannot come here personally! But of course, there is nothing like the real deal: even if the place might seem hardly out of the ordinary from the outside, you cannot help but feel as if you are steping into a sort of temple when you walk into Sant’ Eustachio. The employees have a sacerdotal gravitas to them and clients are advised to let the personel known if they want their espresso without sugar, since you get your coffee with the right amount of sugar already on it- something not many cafes in the city do. Maybe it has to do with the fact that some suspect that the sugar is actually an important part of their secret! Sant’Eustachio is located at Piazza Sant’Eustachio 32, near Navona square. If you are staying at Yes Hotel or Hotel Des Artistes, or anywhere near the Termini station you can take the bus 40 from the station to get there (get off at the station “Argentina”). Here you have a map showing the bus route and the part you would have to do walking from the bus stop. Have a great vacation and do not hesitate to contact us for accomodation if you are staying in Rome! Today we bring you 4 tricks to improve your experience in the Eternal City! 1.- Roma Pass: You might have already know about this one, but offers good value, so it’s worth mentioning: for 34 euros you get to use the public transportation sysem for 3 days and free entrance to the first 2 museums you visit. Besides, you get discounts on all the museums you visit after the first 2. You can find the Roma Pass in many Tabacchi shops and newsstands in the Termini station, where you will likely arrive from your airport. 2.- Book Vatican Museums in advance: The lenght of the queue to get into the museums is almost legendary among tourists, but you can easily avoid it if you book the entrance in advance.To do it go to this website http://biglietteriamusei.vatican.va/musei/tickets/do ; from there you can check availability and book your tickets. 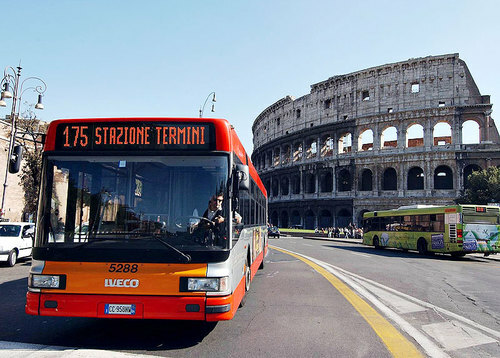 3.-Atac website: Rome is not particularly easy to figure out, when it comes to transportation, but the things are slowly changing thanks to the internet. ATAC, the public transportation agency of the city has o neat website that allows you to check yhe best routes toget from one point of the city to another using the public transportation system. It also shows in real time how long will it take for a bus to arrive to a given stop,so it’s a great resource to check on your mobile. 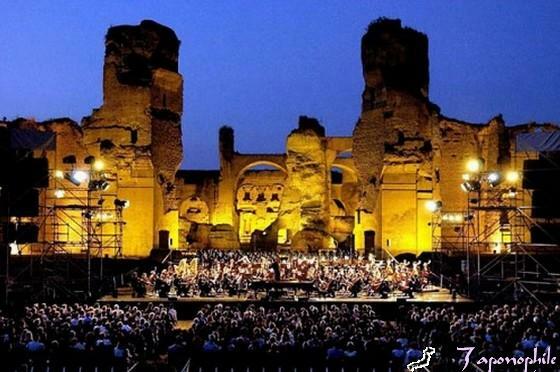 4.- 060608: This is the Municipality of Rome’s official tourist information service. You can call them at (+39) 060608 to get general information about the city and even book museums. Even if the service has been around for a while, is not very well known but it’s really useful! The other day I was walking down via Cavour when I saw a flight of stairs that led to an alley. Being curious as I am I decided to climb the stairs and discover what was up there. I walked past a church with a medieval tower and along the wall of what seemed to be an old Villa to discover the entrance of a garden so spacious that made me think for a moment that I had stumbled into a little known access to Villa Borghese. I was almost alone in the park and the weather was perfect: sunny but not too warm. As I walked past a little soccer field I discerned the top of what could only be the Colosseum. Just in front the exit of the park you will find a little caffe called “Caffe dello Studente”. The place had a certain undefinable appeal, so I decided to take a seat. A couple of signs boasted that the place “was reccomended by the Rick Steve’s guide”, which both reassured me and gave a boost to my faith in my culinary instincts. The women who seemed to be the owner of the place was the embodiment of the Roman character: warm but in a rough, no-nonsense, way. I was suprised to find all the available pasta was frozen. Don’t order that if you are planning to give the place a try. Get a good sandwich and a cold beer, instead. In a warm day, with the sight of the trees on one side and the Colosseum on the other, is an unbeatable combination. If you have any query about the city, drop me a line; I’ll be happy to help. The readers of this blog get a special discount in our hotels, so if you are planning to visit the city don’t hesitate to contact me to get a special rate. After many delays, the extension of the B subway line was inaugurated last year. Users weren’t exactly ecstatic about the new service, with initial delays of more than 8 minutes, but this new addition is welcome in a city whose subway line is rather small considering the dimensions of the urban area. For people visiting Rome the main good news is that the new extension, called B1, will allow them to visit more easily the Catacombs of Santa Agnese. Before, the place could only be reached after a long bus ride from the station Termini. 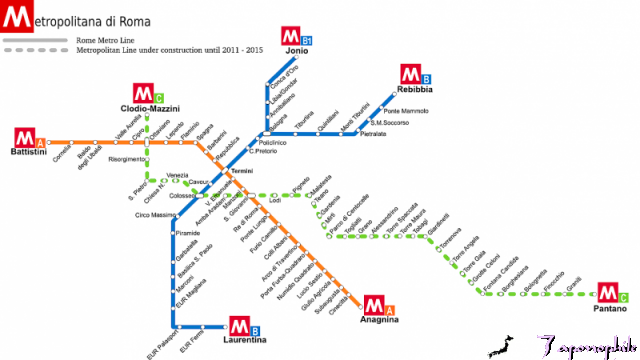 Now, people staying near the station Termini (in hotels like Des Artistes or Yes Hotel) will be only 10 minutes away from the catacombs taking the B subway line at Castro Pretorio or Termini and then getting off at the station Annibaliano. Currently 2 other lines (C and D) are in the works, but don’t hold your breath: the small B1 extension took more than 7 years to be finished. Rome is, well…Romantic. Everyhting from the weather to the food invites to love. That’s why I’m surprised that Il Pincio is not one of the better known sights in the city. 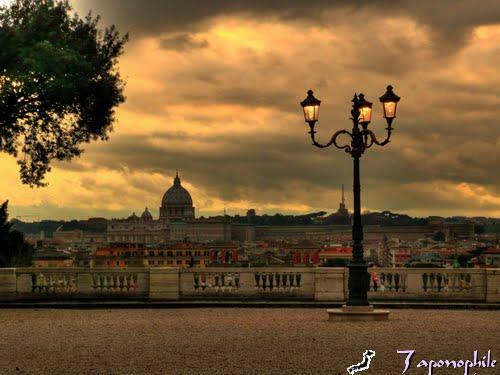 Il Pincio is a terrace from where you can get an amazing view of Rome Visiting it is a great experience no matter what, but to be there with your significant other will reward you with one of the most romantic moments of your trip. To get to Il Pincio from Yes Hotel or Hotel Des Artistes take the red subway line from Termini (direction Battistini) and get off at the Station Flaminio. As you get outside from the subway you will see the gate leading to Piazza del Popolo. Cross the gate, walk past the church and turn left (notice you won’t get to walk into the Piazza; you will turn just before getting to it). Then you will see stairs that will take you up to Villa Borghese. 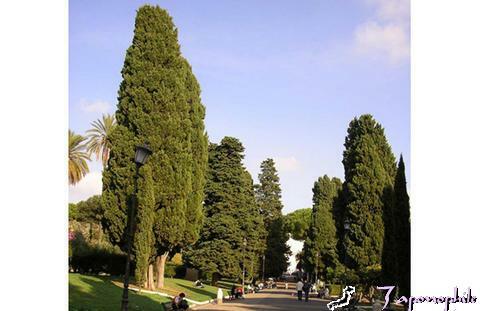 Climb the Stairs and once inside the garden follow the path leading uphill tl get to Il Pincio. Since the terrace is part of Villa Borghese after your visit you can rent a bike or if you are of the lazy kind (just like me) you can just lie in the grass with your partner– which will of course lead to further romantic exchanges.